Adorable, right? Robert Wagt created this colorful and whimsical illustration just to remind us that Easter is this Sunday, April 20th! 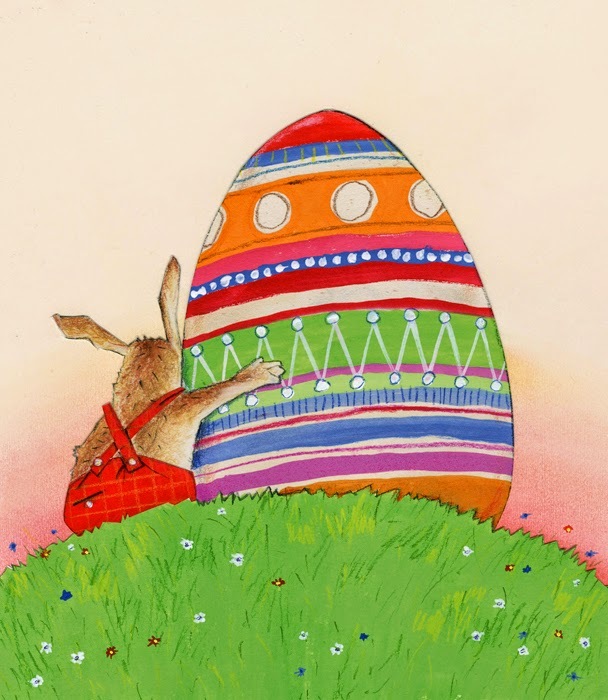 Looks like the Easter Bunny has found a true friend in this oversized, decorated egg. That's devotion! Check out more of Robert's wonderful work.